The eighteen story Yacht Harbour in Coconut Grove is one of the classic buildings found on South Bayshore Drive just a block away from the waters of Biscayne Bay. 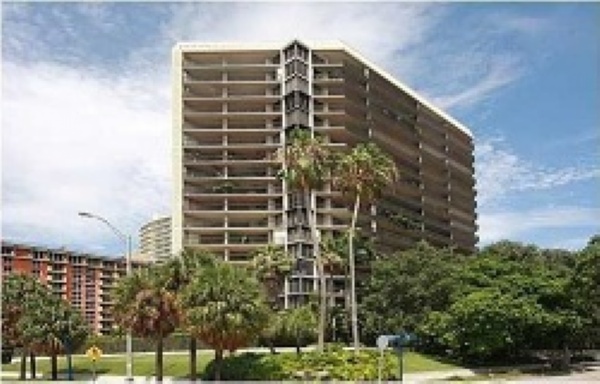 It features one, two, three and four bedroom Coconut Grove condos for sale available with 1,085 to 5,859 square feet of living area. You can walk to the park, stay at home and enjoy the views of the water or explore the many sights of “The Grove” often without having to drive to the most popular places. Play some tennis at the Yacht Harbour courts, relax by the poolside during a hot day, stay in top shape at the fitness facility, make use of the concierge services, the Yacht Harbour condo has everything you need to make the most of the living experience. Expect to see plenty of modern residential features within the units including balconies with views of the neighborhood and/or Biscayne Bay to the east. Residents of Yacht Harbour can walk to CocoWalk which is across the street to the northwest of the building and features plenty of shopping, dining and entertainment to explore. Enjoy a night of comedy at the Improv Comedy Club, take a scenic stroll though Kenneth Myers Park overlooking the bay, visit Dinner Key Marina, explore the gardens of Vizcaya, there is a lot to do near Yacht Harbour. There is even more to see and do once you take into account the nearness of Coral Gables and Downtown Miami.